Okay, I confess that Campbell Park isn't in our area... I can't even call it within hoofing distance. 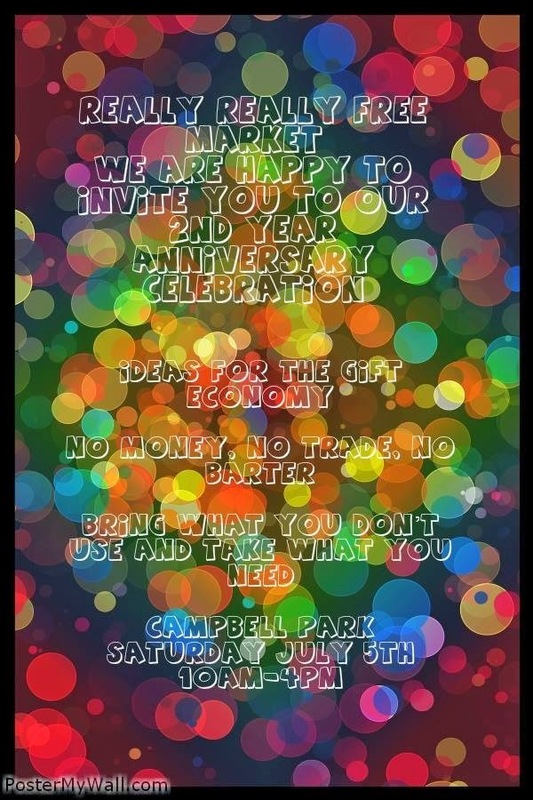 But I've always loved the concept of the Really Really Free Market, which is going to celebrate its 2nd anniversary July 5th. It's exactly what it sounds like: bring what you don't need, take what you do.